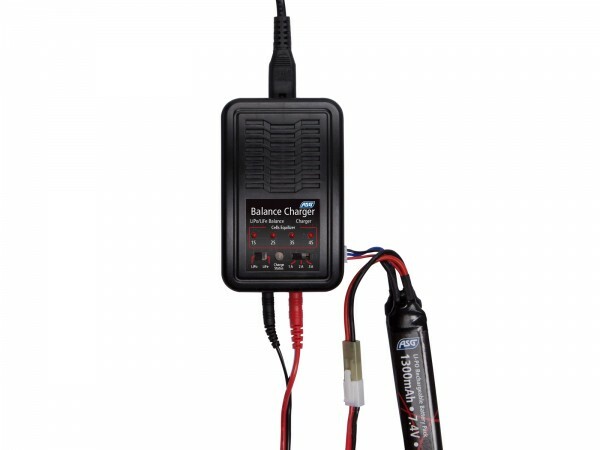 Get the most out your batteries with this easy-to-use balance charger. It charges Li-Po and Li-Fe Airsoft batteries, with a simple plug-and-charge design. The charging current can be adjusted to fit any size battery, this will shorten the charging time without stressing the battery, use 1A for small batteries up to 500mAh, use 2A for batteries up to 1500mAh and 3A for batteries from 1500mAh and up. During every charging the battery the cells will be balanced automatically, this will ensure optimal life span of the batteries. 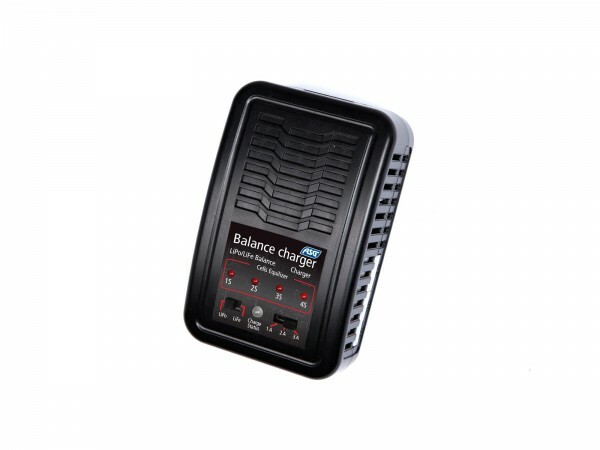 This feature is usually only found on chargers in a much higher price range. UK version with appropriate wall plugs.